Although 1996 was one of the wettest years for port on record, the Douro region produced a large, abundant crop. The year was not declared as a Vintage, however a few good port wines were produced which are noted for being fruity and forward. 1996 was an outstanding vintage for Italian wines. In Piedmont, tricky weather all summer yielded to a period of hot and dry weather from mid-September through to mid-October. This enabled the late-ripening Nebbiolo to achieve a classic balance between fruit and structure. The best Barolos and Barbarescos are substantial on the palate and give every indication of a long life ahead, offering a superlative drinking experience if kept well. Like Piedmont, Tuscany had a cooler than average summer and this enabled a long, slow ripening of the grapes. 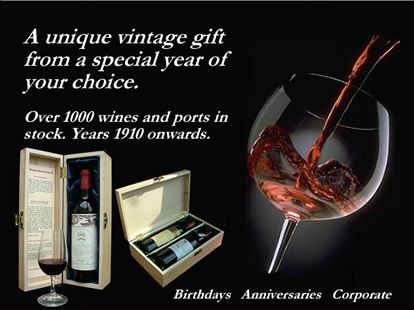 The wines are richly aromatic, deeply coloured and abundantly fruity - making them brilliant 23 year old wine gifts for a birthday or anniversary. The 1996 vintage produced exceptional wines that broke all price records (until the 2000 vintage). The top wines reached full maturity a decade ago, but will keep for many more years. "Dark crimson. Attractive, focused but still youthful cassis nose. Tannins pretty well melded. A very attractive, gentle, classic claret. Moderately saturated medium red. Somewhat riper aromas of black raspberry, black cherry, smoke, tar, tobacco and pepper, plus a hint of green coffee beans. "The 1996 Duhart-Milon-Rothschild is aging in wonderful fashion, to wit, a straight down the fairway Pauilliac. "This up and coming St.-Emilion is somewhat under-rated given the consistently high quality of recent vintages. 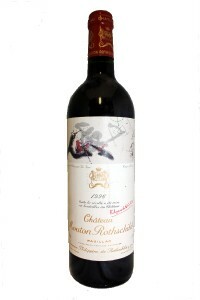 The 1996 Château Labégorce-Zédé displays a clear medium intensity ruby red colour slowly turning into garnet. 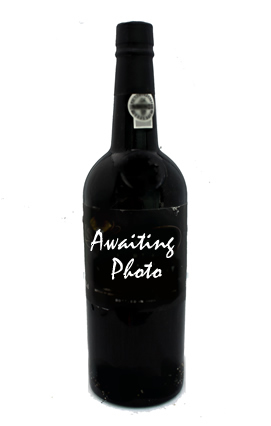 It reveals a maturing nose of tobacco, dark fruit and an herbal note. The 1996 Chateau Marbuzet has a dark ruby colour. Iron, game and deep red fruits fill the nose with exciting aromas. Plump, seductive flavors cover the palate with a hit of '96 acidity on the finish keeping everything balanced and in proper order.